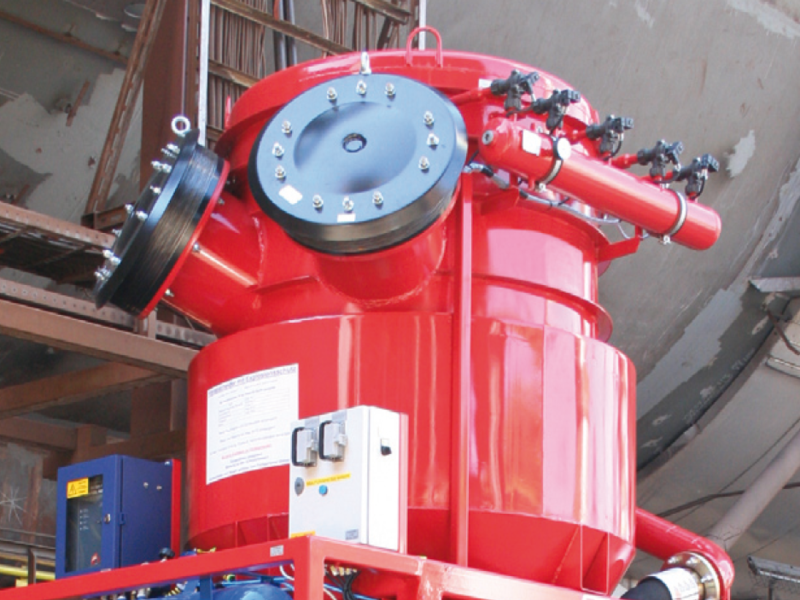 IEP Technologies has conducted thousands of full-scale explosion tests to better understand the science behind flame propagation and verify our protection solutions. 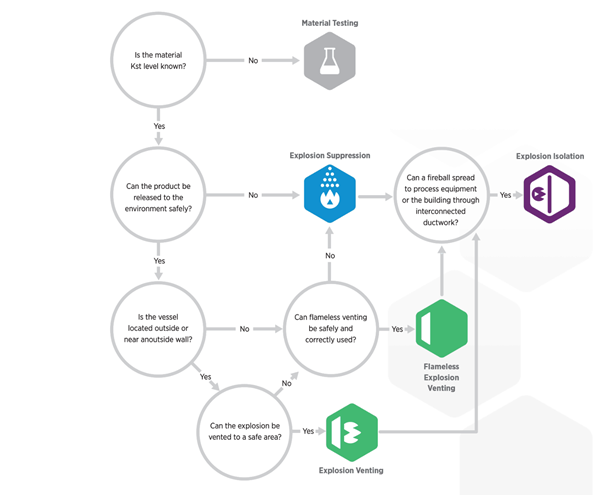 By following the Explosion Control Flow Chart, we can walk through the process of assessing your risk and finding the right and safest solution for your facility. Know your risk: How combustible is your material? Do you know its Kst level? Can the product (material) be released into the environment safely? Also consider Explosion Isolation if other ductwork is connected to the equipment. B.Yes: If located outside or near an outside wall, you can consider Explosion Venting. If you are not located outside or near and outside wall, consider Flameless Explosion Venting. Our products are FM approved, ATEX compliant, and IEP Technologies is the only provider in the industry with Design Calculation Tools that are ATEX compliant. This means that every design using our Design Calculation Tools is ATEX compliant.